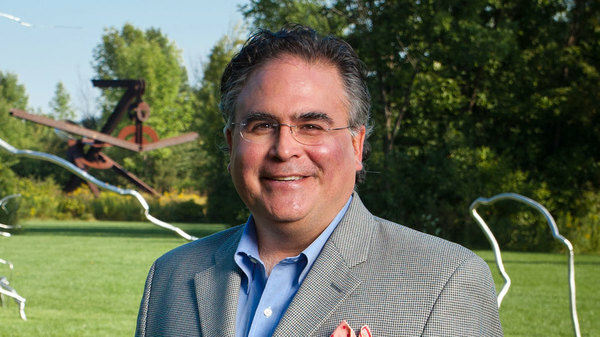 Joseph Antenucci Becherer, the founding director and curator of the sculpture program at Frederik Meijer Gardens & Sculpture Park in Grand Rapids, Michigan, has been appointed the new director of the Snite Museum of Art at the University of Notre Dame. His term as director will begin in January 2019. Becherer joined Meijer Gardens in 1999, and became its chief curator and vice president of sculpture and horticulture, collections and exhibitions in 2009. He also is the Lena Meijer Professor in the History of Art at Aquinas College, where he teaches courses in Renaissance, Baroque and Contemporary art. At Notre Dame, Becherer will lead a staff of 16 responsible for exhibition development and educational programs that serve Notre Dame students and faculty as well as thousands of primary and secondary school students who visit the Snite Museum of Art annually. He also will play a major role in helping design the University’s new Raclin Murphy Museum of Art at Notre Dame. A scholar of modern and contemporary sculpture, Becherer has authored numerous books, catalogues and articles, and curated many major exhibitions. As curator at Meijer Gardens,he has overseen the development of one the foremost collections of modern and contemporary sculpture in the world. In 2015, he debuted a new Japanese Garden designed by Hoichi Kurisu with the permanent installations by Jenny Holzer, Zhang Huan, Anish Kapoor, Masuyuki Koorida, David Nash and Giuseppe Penone. Most recently, Becherer curated a monumental exhibition with Ai WeiWei and oversaw legacy gifts of George Segal and Beverly Pepper – including her entire repertoire of prints and drawings. Becherer has served on numerous civic art advisory committees, including those which commissioned major public works by Dennis Oppenheim and Maya Lin, and acquisition of a major work by Robert Indiana. He chaired the national committee to commission a sculpture of President Gerald R. Ford for the rotunda of the U.S. Capitol dedicated in 2011. Becherer earned bachelor’s and master’s of fine arts degrees at Ohio University, which in 2012 awarded him its Medal of Merit. He received his doctoral degree from Indiana University. Originally published by Gina Costa at sniteartmuseum.nd.edu on October 09, 2018.